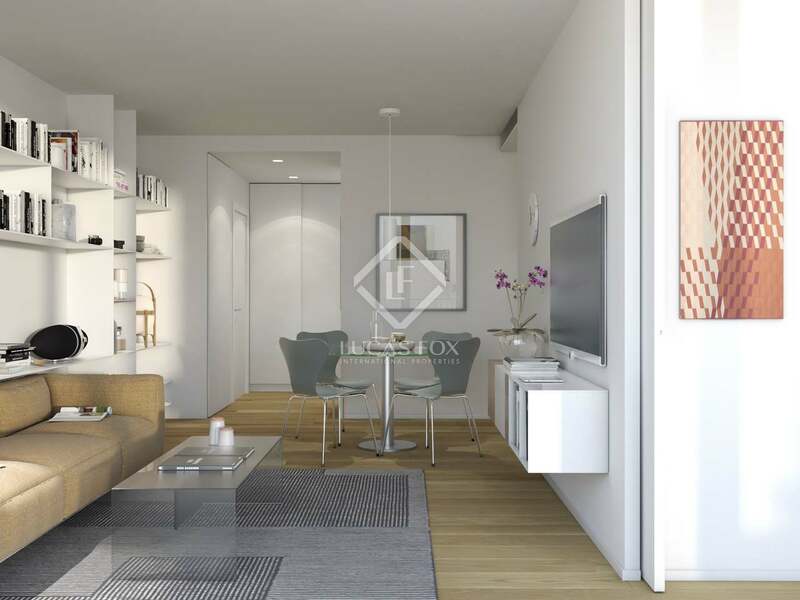 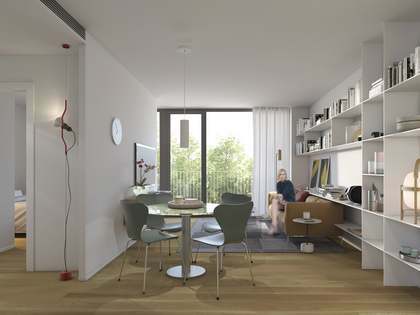 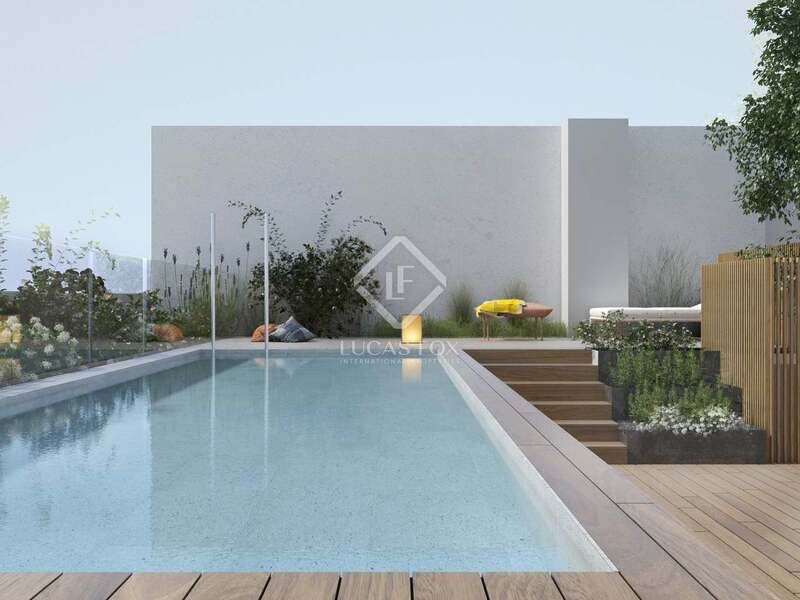 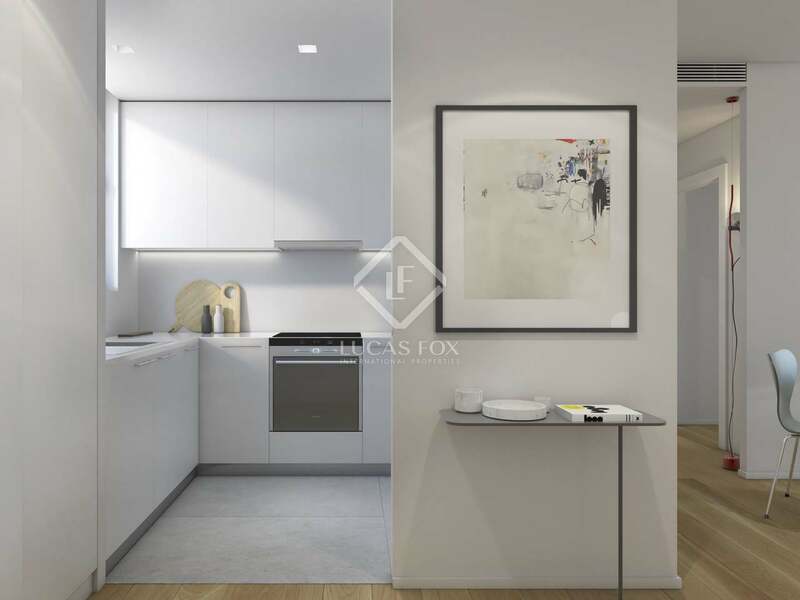 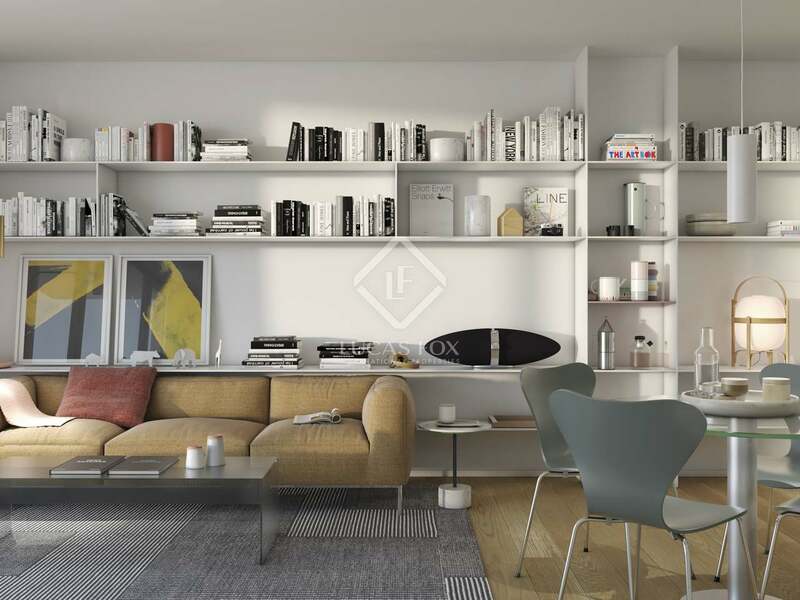 Modern, minimalistic ground floor apartment with a great private garden for sale in this new development in Les Cortes, Barcelona, with parking and a communal pool. 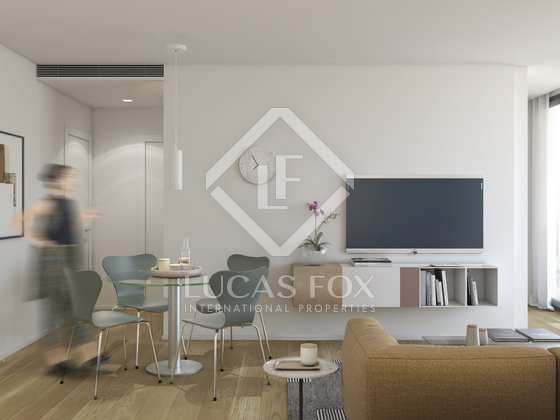 This ground floor apartment has a living room – dining room, kitchen and guest toilet on the entrance level, with a fabulous private garden. 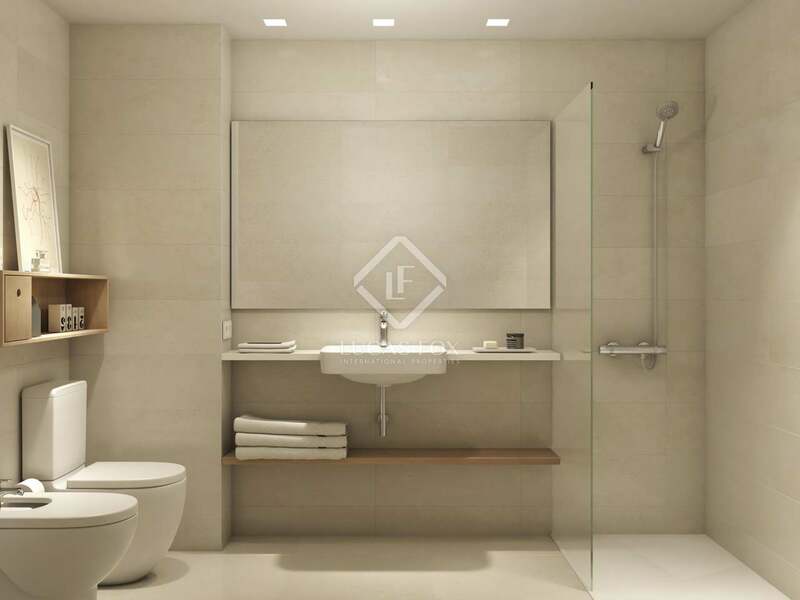 Upstairs we find a master bedroom with its own bathroom, 2 further bedrooms and a shared bathroom. A minimalist home with quality finishes, the apartment has plenty of natural light thanks to floor-to-ceiling windows. 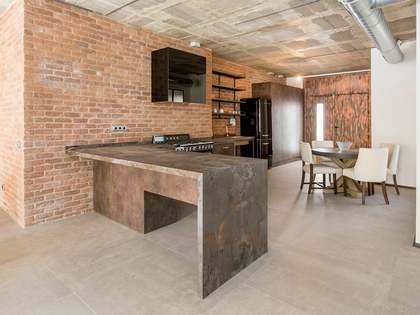 Furthermore, modern finishes and neutral colours create a contemporary, elegant home. The kitchen is equipped with Bosch appliances and there is abundant space for storage and food preparation.